In April 2016, coastal Ecuador was devastated by a 7.8 magnitude earthquake. 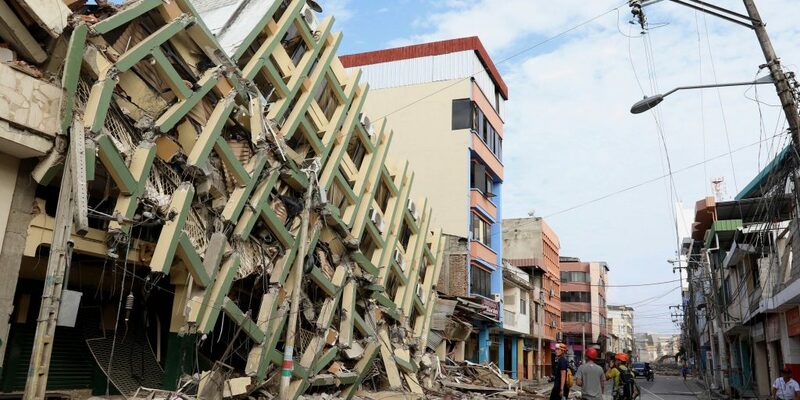 Damage was evident across Ecuador, including Pedernales, a popular tourist destination. The first post-disaster activity for a reinsurer such as Munich Re is comprehensive loss investigation. An inability to rapidly and accurately gather intelligence creates costly delays throughout the claims management process. For years, reinsurers have relied on satellite data and field inspectors. Satellite data was often limited due to cloud cover, and when cloud cover was not an issue, the data collected was often too expansive to offer rapid assistance. On-the-ground inspectors faced tedious work that was complicated by lack of post-disaster access and the sheer volume of losses. After Ecuador’s catastrophic quake, Munich Re called on PrecisionHawk to engage in post-disaster assessment. Within days, drones were deployed to assess widespread damage. PrecisionHawk was the first and only UAS provider on site; in a handful of flights, they accomplished what had previously taken weeks to complete. Download the case study to see how they accelerated the post-loss assessment and claims cycle.